You’ve probably noticed that your yoga class is becoming more crowded over time. Seasoned yogis can attest to the many ways that this lifestyle is rapidly gaining popularity with the mainstream media. The extreme growth it has seen in the past few years may be nothing in comparison to the ways it will rise in popularity this coming year. Yoga is set to become more popular than ever in 2018. Are you wondering why so many would-be yogis are suddenly stumbling onto newly purchased yoga mats? Take a look at these reasons why we think yoga is going to be far more popular this year than ever before. Yogis who have been practicing for a while now know that the essential yogic philosophy is to have a steady practice. Integrating the mind, body, and spirit together helps them to find true balance in every aspect of their lives. This year, people will continue to focus on improving their overall well-being through mindful concentration on their feelings. Yoga and meditation are natural places to search for that silent space to process and ground yourself. You can hardly go to any drug store in the country without finding a hint at natural remedies. From essential oils to products made without the harsh ingredients, consumers are becoming more mindful of how they treat their bodies. It’s only one small leap from natural health remedies into caring for your body well through a routine yoga practice. One of the things that we tend to lack in our social-media-driven culture is a true connection to one another. You may go throughout your day liking photos and reposting tweets, but when was the last time you had a meaningful connection? 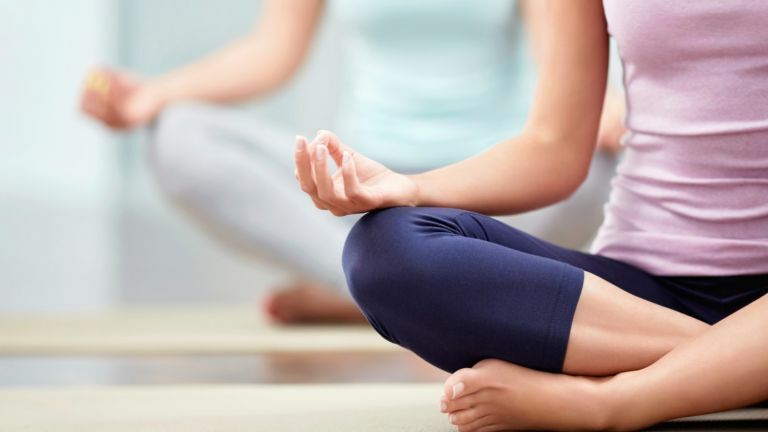 Yoga creates a tight-knit community among the members of a particular class or culture. In an attempt to forge a friendship with someone physically near us, yoga offers the perfect setting for nervous individuals to start making meaningful relationships. Western culture certainly emphasizes the need to maintain physical fitness. While yoga may evoke images of peaceful meditation, many people are now starting to realize what a well-rounded workout yoga truly provides. Popular social media experts are using Instagram and Facebook to share their intense yoga poses in scenic locations. Looking at the musculature and overall fitness of these yogis will likely inspire a few individuals to roll out their own yoga mats in the coming year. Yoga has always been a popular pastime, proving itself through the ages and being passed down from one generation to the next. With the current state of affairs in the world, it seems that yoga is going to be more popular than ever in 2019. 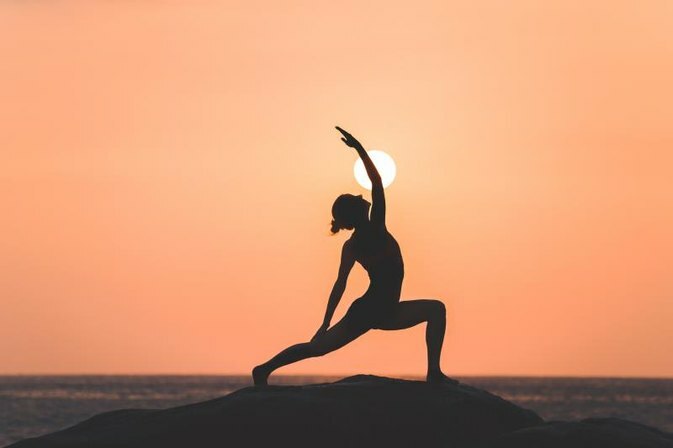 Take stock of how frequently you see yoga appear in the mainstream culture, and we bet you’ll notice its popularity skyrocket by the end of the year. There is a stereotype of traditional yogis that portrays them as more concerned with spiritual disciplines and practices than with the accouterments of pop culture. Yogis of yesteryear are viewed as aloof when it comes to prominent social norms, choosing to focus more on their practice than their appearance. Many envision a traditional yoga in simple white garments, barefoot, with their eyes closed in meditation. Modern-day yoga and yoga fashion is certainly challenging this long-held stereotype about what it means to practice yoga truly. Yogis these days are very concerned with their outfits, believing that what they clothe the body is just as important as the physical work they do with their bodies during a practice. If traditional yoga has just as much to do with philosophy and spiritual discipline as it does with the practice, how can yoga and fashion exist simultaneously in the modern world? The truth is that yoga fashion isn’t so much about what the pieces of clothing look like in comparison to modern trends. High-waisted Capri leggings are popular among contemporary yogis, but it’s about more than just the pants themselves. One of the most often discussed elements of yogic philosophy is the concept of self-love or self-compassion. Dressing comfortably in clothes that make you feel attractive and confident can certainly be one way of carrying that principle into your daily life. Your yoga leggings, pants, or workout tops should also allow your body to move in the ways it was naturally created to move. The breath should flow smoothly in and out of the lungs instead of being restricted. You should be able to stretch, bend, and flow easily throughout your practice and your day. Many yogis will also look for pieces that have beautiful patterns or coloring, which can be a valid way of boosting their own prana energy. Surrounding yourself with bright colors can give your mood a boost and give you more energy as you travel through the day. Keep in mind that understanding where yoga fashion comes from also plays a big part in honoring traditional yogic philosophy. It is one of the largest areas where yoga and fashion overlap. Taking good care of the earth and the people who reside in it is central to the teachings from the Yoga Sutras and other traditional texts. As a result, yogis have a responsibility to ensure that their clothing and fashion come from a non-harming environment. This concept applies not just to the materials used to make them but to the environments provided to workers. Yogis should be concerned with what they wear, ensuring that it was sustainably resourced and produced by workers who were paid fair wages for the work they performed. Fashion in yoga is about more than just the appearance of your outfit and how it compares to the other students in your yoga class. It represents foundational thinking and beliefs, giving yogis a real-world application to practice the traditional yogic philosophy that is so important to extend your practice off of the mat. Fashion loves nostalgia, and yoga fashion is no exception! A safe bet when it comes to any style is that sooner or later, things that are old become new once more. So why not ahead of the game? We’ve compiled some insight into the hottest trends in ‘80s and ‘90s yoga fashion. Read on to get inspired! While many of us agree that leaving the perms and blowouts behind was a good thing, there are a few things we can learn from yogis from the ‘80s. There’s a reason why leg warmers have never really gone out of style, and lately we’ve been seeing an uptick in yoga brands offering leg warmers as stylish and functional accessories for practice. Another style to keep your eye on: Unitards and bodysuits. These are swinging back into fashion as well, with many yogis wondering how we left behind a clothing staple so easy to wear! Leave behind the decision fatigue with these one-piece designs—there’s nothing easier or more comfortable (provided you find the right size and material). And don’t forget those sweat bands and headbands! As long as they’re not so tight that they threaten circulation, these accessories can actually be quite useful as well as stylish. No one needs sweat dripping into their eyes during a long Bikram practice, and these are the perfect solution. ‘90s style has been coming back in full force lately—chokers, flannel shirts, and overalls have been gracing the pages of Vogue and Elle in addition to the streets. Ride the wave of 90’s nostalgia with these throwback apparel pieces. “My Calvins”: Calvin Klein sports bras have become all the rage again, and they actually work quite well for exercise as well as looking good. Feeling the need to add some extra color to your practice as well as a DIY aesthetic? Dust off those old tie-dying kits or find a ready-made set online. Tie-dye is as ‘90s as you can get, and there’s no reason to restrict this fun activity to old T-shirts. Finally, remember those cute double braids you used to wear in high school? They’re coming back in style too! Braids are actually a great workout hair style—they keep hair away from your face and do less damage than most buns and ponytails. And most importantly, they look great. Fashion is ever-changing, and it’s easy for those of us who don’t have the time to keep up on every new trend to feel lost and out of the loop. But there’s one rule of fashion that never changes—what was popular 20, 30, 40 and even 50 years ago is bound to re-emerge at some point. So, stay ahead of the game and embody these throwback yoga styles the next time you want to show off at the studio.